Profe Carlos with one of our young men with special needs. The two have a very close friendship. Profe Carlos has been working at the Amigos de Jesús Bilingual School for almost four years now. Beginning as a Special Education teacher, Profe Carlos now works full time as the disciplinarian, perhaps one of the most difficult roles at our school. As the first person to work in this role, Profe Carlos has set a high standard for the job. In fact, a large part of the consistency in our disciplinary protocol can be credited to the dedication and work that Profe Carlos has shown in his job. No matter the day, Profe Carlos is always ready to help with whatever is asked of him with a smile on his face. He is greatly appreciated not just by his fellow coworkers, but also by the students at our school, especially one of our young men with special needs who has a great love and attachment to Profe Carlos. We are very sad to see him go in the next couple weeks, but so happy to have had him at the school for these last four years! Good luck with your next step in life, Profe Carlos, you will be missed! 5. How did you hear about Amigos de Jesús? And why did you want to come work here? I heard about Amigos de Jesús from one of the Dad’s that was here. I wanted to work here to learn and gather more experience. 6. 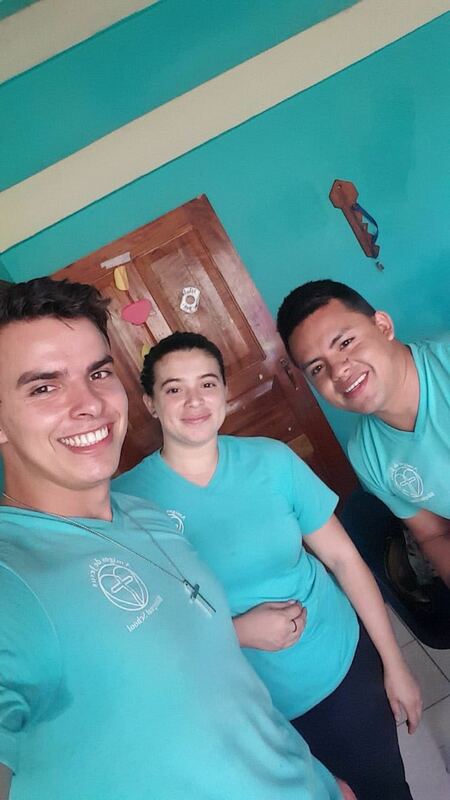 Before working at Amigos de Jesús, what were you doing? I was working with a car manufacturing company before I came to work at Amigos. 3. Did you know that you would be the disciplinarian before coming to ADJ? No, I was the special education teacher for various children during my first year. 4. Is the disciplinary position new to ADJ? Yes, I am the first person to be working in this position. 5. Why was the disciplinarian position created? There was a big need here. They needed someone to help control the behavior of the children. The principle, Profe Osman, told me, “We need you in this position. We think that you can do it because you have the correct character. We think that you can do it really well.” I said that I would try! 6. What is your favorite part of your work at our school? When I don’t have any child working with me, or when everything is quiet and cool, or when I see changes in the kids with difficult behaviors. The change is slow and you usually don’t see it in a short time. Sometimes we have to wait one or two years before we start to see changes in how students behave. You need to wait a long time. In the beginning it’s frustrating, but then you understand that you need to give them time. It’s very rewarding to see those slow changes, though. 7. I know that it’s hard but can you share a favorite memory of yours from your time working at the Amigos de Jesús Bilingual School? Before, Jaime,* an older boy in the special needs class who is non-verbal, was very aggressive, because he was scared when he first came to Amigos de Jesús. Maybe he thought that we were going to try to hurt him or something. He would always come to school crying and fearful and trying to hit and bite people. We taught him little by little and now he has changed and he knows how to behave well. He doesn’t hit or bite anymore. I think that change was beautiful to watch, because I was there for Jaime’s most difficult moments and can now see him thriving and doing so much better. 8. What has been one of your favorite memories or days with the children? There are many, but sometimes when I go to special education, Jaime is looking for me so that we can play. He will jump on my back and I’ll turn him around in a circle. He just wants to spin in circles and then he gets dizzy and we hug and laugh. Another time, we were playing when we had free time. Jaime climbed a tree and the branch he was on broke. He fell on the ground in a seated position. He just started laughing and laughing. It wasn’t very high, thankfully, so it was really funny. Profe Carlos with several of our students heading to the children's museum in San Pedro Sula this year. 9. Do you have a favorite memory from your time as the disciplinarian? It’s more difficult with the disciplinarian role, because the best moments are when the kids aren’t with me (because it means they are behaving well). But I’d say some of the best moments are when a child who was having a hard time behaving finds me and hugs me saying thank you for helping and that s/he understand he/she is difficult at times. 10. What is the hardest part of being the disciplinarian? The hardest part with discipline is when you want to see change in a short amount of time. You do your best, but you realize that it’s not enough, and what you want to happen is not happening. Sometimes, you are sad and frustrated. You are angry with yourself and start questioning if you are doing something wrong or if you need to change what you’re doing and change your plan. Then, when you have more experience, you learn that this change is not easy. This is a step-by-step process. It’s a matter of time. I’ve learned how to have peace with myself, and I don’t blame myself anymore. Instead, I understand that this is always how it will be. Someday, the child will change their behavior, but you just don’t know when. At least, that’s the hope that we have. 11. Can you describe something that you have learned or that the children have taught you during your time here at Amigos? Profe Carlos, pictured on the right, with several of the BECA teachers in the 2015-2016 school year. The value of family and appreciating what you have and what God has given you. But also how to love what God has given you, because these kids have suffered a lot. Sometimes I don’t know how they smile when they have lived through really tough things. So that’s one of the things that I have learned – to value what God has given you. To appreciate your family, your friends. That’s what I’ve learned the most – to value what you have. Because I have seen kids. 12. You have taught at the Amigos de Jesús Bilingual School for several years now. Can you describe some changes that you have seen in your students? When I was the special education teacher, I saw changes in two boys in particular. In the beginning, they didn’t understand orders like, “sit down,” “stand up,” “look at the board,” or “repeat this.” They didn’t know any of that. Zero. Nothing. Then I started to teach them, and I saw a change. Like with Jaime. I taught him what it meant to sit down, because he only wanted to stay standing and he always wanted to leave the classroom running. He would escape and I would have to run after him, and he cried a lot. But later, little by little, he changed. He started to see that he was safe and that I was a safe person. 13. Have you seen any changes in the students that you work with as the disciplinarian? Pictured on the left with several of his coworkers and current teachers in the Superheroes (special education) classroom. Many of the students can make better decisions now. They know what to do when they make a mistake. They know how to take extra time to themselves or take time outside when they are angry, but they could not do that before. We have created a culture in which they know how to act when they are angry. Now, they can use these tools to help themselves feel better. Before, they couldn’t do that. We have experienced many changes in the past couple years. Now the kids can do everything, and they are conscious of what they are doing. When I ask them, “Was that the right thing to do?” they can tell me, “No, it was wrong.” When I ask, “Do you deserve this consequence?” they can answer with, “Yes, I do.” I’ll ask, “Why?” and they can say, “Because I did this wrong.” Something like, “I broke something and I’m taking the consequence.” Before it was more like, “Yes, I did it, but I don’t want a consequence; it’s not my fault.” Now, they have the tools to understand and act correctly. 14. What’s something that you want for the children in the future? I want a beautiful life for all of them in our society. I hope that they are ready for everything and that they can make good choices. I don’t want them to make mistakes or lose things, because they have already suffered a lot. We don’t want that for them. We want them to have families and maybe one day they will teach their children that there is hope in their lives no matter what they are going through. That’s what I hope—that they have a good life. 15. Can you explain a bit about what it’s like to work in a bilingual school with both Hondurans and North Americans? It’s great for me! I learn a lot from the American people, like the culture and the language. I learned English here because I have done, and do my best, to learn it. It’s really good to share my experience with the American people and they are sharing their experiences with me, too. It’s cool to have friends like that from the United States. 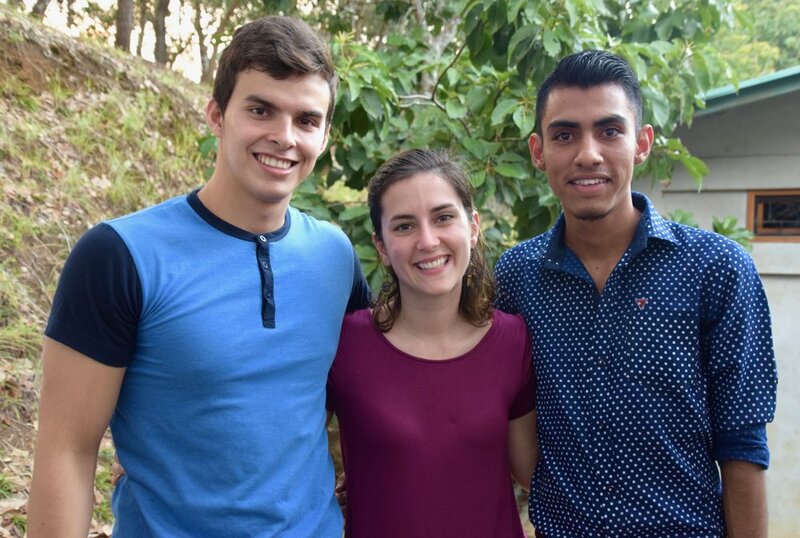 I have family there [in the United States], but now I also have friends there from the BECA and Amigos volunteer programs. I think you all are amazing people, because you left your families and you came here and you’re helping the children. You left everything behind—it’s great. I see hope in that. You are bringing hope to our children and to our people, and that’s amazing. 16. 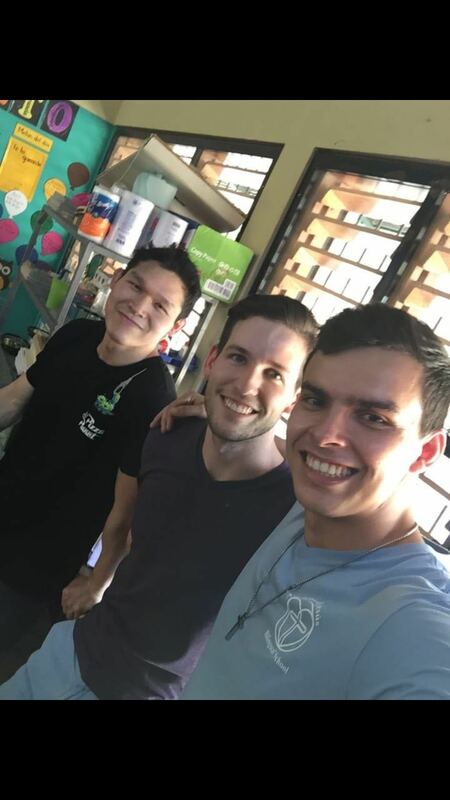 Why is working at Amigos a unique opportunity? Because in this school and in this organization, you have the opportunity to meet children who have needs, such as the need to be loved. They need to, and get to, see people who have values. The school is also located in a beautiful area and we teach two languages. Everyone knows that this is the best school in the area, and that’s why this is a unique place. When the BECA program came here, everything changed. In the beginning, we were only teaching Spanish and that’s normal for schools in Honduras. But then they brought the BECA program, and people were talking about it. They were wondering, “How do I get my child in that school?” This is the best location with American teachers. We have the best location with the best people. 17. What is something that you would like to say to people interested in working at Amigos de Jesús? If you want to learn, you will learn. If you want to grow up, you will grow up. If you want to be strong, you will be strong here. If you want to learn how to love, you will learn how to love here. A lot of things are happening here. I know this is my last year here, but I am really thankful to everybody here, because I am full of new love for life and hope and family. Now, when I see someone in the street, such as a child, I understand what they are going through. We need to pray for our community and our department and our country. It’s always in God’s hands. Prayer is the only thing we can do. Profe Carlos, pictured in the back row on the left, with the first grade students and teachers during the Honduran Independence Day Parade in September 2017.